This is a throwback kind of a post today, because what’s more of a throwback than Ghostbusters? Seriously, as if this series weren’t wicked cool enough on its own, there talk of a series reboot that starting to film. In the meantime, re-watch the movie and read a book sequel that puts Ghostbusters to shame. 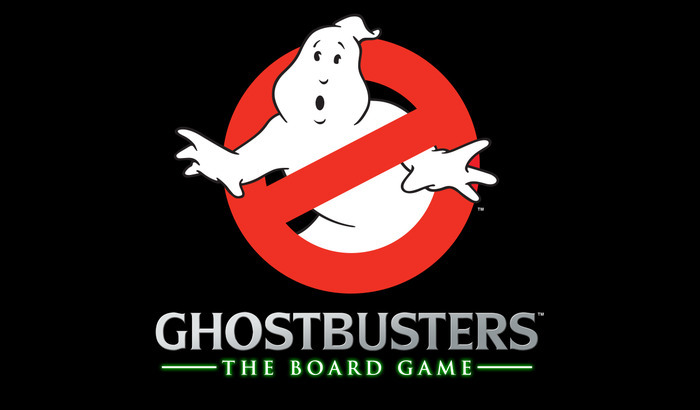 Oh, and sponsor the new game board from Cryptozoic Entertainment on Kickstarter. Youv’e got a little over a day left. She’s a little pricey, but considering what the boys paid for just to get their Ghostbusters franchise up and running, you can certainly drop a few bucks. Besides, gameplay looks incredible and there’s a lot offered for replay. PLUS, they’ve met about a ga-jillion stretch goals. Unfortunately, there’s no Louis Tully or Janine Melnitz figures yet. Here’s the original link to my story reprinted here for you from all the way back in October of 2011. For my final installment of The Oracular Beard this spooky month of October, I got a little crazy. A little birdie on the interwebs told me awhile back that the powers that be were releasing Ghostbusters in the theaters again. Not some George Lucas prequel or deleted scene heyday, but the real deal. It was only showing Thursdays in October, and the closest I could get to see it was in Pittsburgh, but a nice road trip with some awesome local food topped off by a screening of one of my favorite films really made my month scarily good. Are you ready to believe me? Okay, so I may be dating myself a little, but Ghostbusters was one of five movies I continually watched growing up, and it rarely made it out of the Betamax (dating myself again). Though I’ve probably seen it a dozen or more times since my childhood, seeing it on the big screen was the main draw in and of itself. Ghostbusters is one of those movies that I’ve become so accustomed to watching, that I don’t really watch it anymore. Either you throw it in the DVD player and are always doing something else that you don’t see it for what it is, or worse, you catch it on basic cable and you take all the little swears out. Those’re what make it fun; I wasn’t supposed to say that stuff as a kid, and now that I’m all grown up, they’ve lost their luster. Seeing it in the dark with a hundred or so complete strangers brought the appeal of the movie back to me. There was no pausing to get a snack or making a bathroom, you paid for this movie, now stick it out! We all knew how the movie went, and it was fun to hear people quoting favorite lines and clapping during favorite parts. The best time I had was when I was caught off-guard by something as mundane as the scene where Dr. Venkman made the EPA guy say please. This movie taught me my swears and my manners. Ten years or so after the events of the film, the Ghostbusters are struggling to get by. They’ve gone bankrupt three times now, and Ray has lost his childhood home to the bank. The supernatural entities are still around, but the boys aren’t in business like they used to be. There’s some creepiness going down, however, and Xanthador, Lord of fear, is behind it. Fueled by fear, Xanthador relies on the ghosts of urban legends to reign terror upon New York City and hopes to conquer the world with his schemes. Oh, and Peter Venkman gets a chance to run for mayor. There are parts that are spot-on: voice, characterization…even the way they describe the equipment that our boys use to fight ghosts. The goofiness and unbelievability of what it is the Ghostbusters do is made real in its fictionalization, and it really hits home with the care Fisch takes for these characters. Yet even with a plot and loveable characters, the sheer intensity of the camp makes this book downright horrific at times. I think I should have watched the second movie again, and maybe some of the cartoon before I read this. There’s no real build-up in the threat, even when all the haunting are run from the same villain. Slimer gets some real face-time as an actual character, which is kind of fun, but he shouldn’t run the show by any means. Xanthador’s minion, Geezil, is just there as comic relief, but no one seems to get the joke. Much better than the second movie, but you don’t have to pander to me to make me wanna read your books.